Get 2 e-Books for Free! 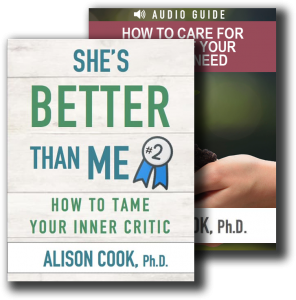 - Alison Cook, Ph.D.
Get 2 e-Books for Free! 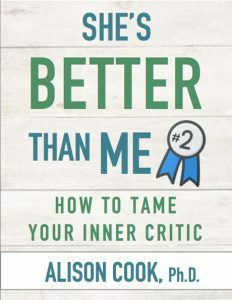 What if you could tame your inner critic? 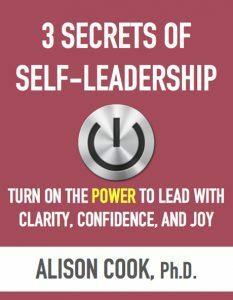 What if you could lead yourself with confidence, clarity, and joy? I’d like to give you 2 FREE e-books that answer the questions above! Each concise resource is a quick read that is designed to transform the way you view yourself, your calling, and your most important relationships. Enter your primary email address below to access your 2 free e-books as my gift. You can download the e-books as PDF files to your computer or any mobile device, such as an iPad, smartphone, etc. In addition, you will receive my free e-newsletter packed with expert tips and encouraging advice to help you stand tall and gain confidence from the inside out! Enter your email address above to receive my 2 free e-books and join my e-newsletter. Your data will not be shared or sold, and you may unsubscribe at any time.